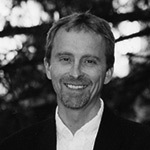 DENNIS HINRICHSEN is the author of six books of poetry. His most recent are Rip-tooth, winner of the 2010 Tampa Poetry Prize, and Kurosawa’s Dog, winner of the 2008 FIELD Poetry Prize. He lives and teaches in Lansing, Michigan.